No Library card? No problem! You can sign up for an #InstaLibrary card! Children and teens can sign up. 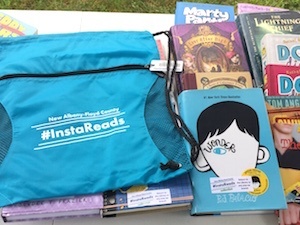 Check out a bag of InstaReads children’s books, available at the Children’s Desk. These pre-selected bags of 10 children’s books are available for check out on any Floyd County Library Card (even if your card is currently blocked). If you don’t have a card, we’ll make you an InstaReads card that will allow you to check out InstaReads bags. Everyone is eligible for an InstaReads card, no matter where you live. Children and teens may get an InstaReads card with no need for a parent or guardian to sign for it. Blue bags have picture books or easy readers (suggested for ages 0-7). Green bags have chapter books (suggested for ages 7-10). You may check out one InstaReads bag at a time and the bags check out for 2 weeks. As long as the bag is returned to the Library, there will be no fines on InstaReads bags. If an InstaReads bag is lost, the replacement fee is $1 per bag. You may also volunteer (if an appropriate task is available) or read off the replacement fee. 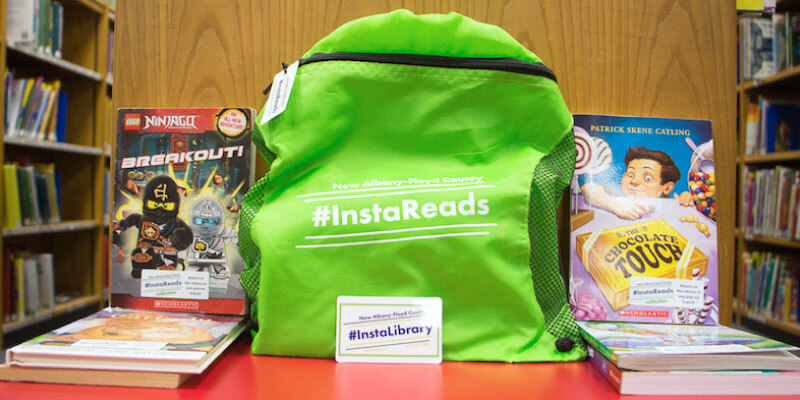 You can check out #InstaReads book bags and books with your #InstaLibrary card or with your Floyd County Library card.